Product prices and availability are accurate as of 2019-04-18 02:38:14 EDT and are subject to change. Any price and availability information displayed on http://www.amazon.com/ at the time of purchase will apply to the purchase of this product. The Culinair 1.7-Cubic Foot Compact Refrigerator is ideal for the dorm room, office, bar, bedroom, and nursery. The state-of-the-art technology is featuring thermoelectric technology and ultra quiet internal fan for air circulation. 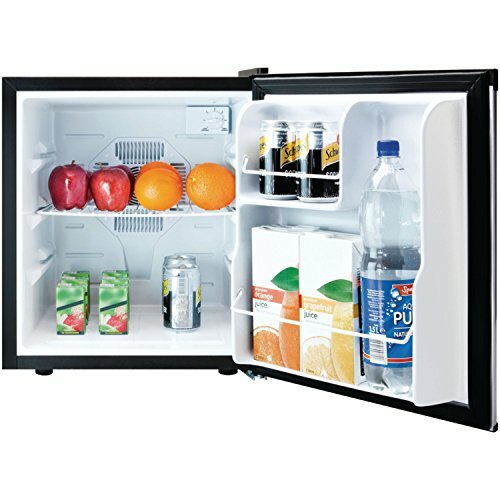 Each fridge has an auto-defrost feature and a temperature controller for worry-free, efficient operation. 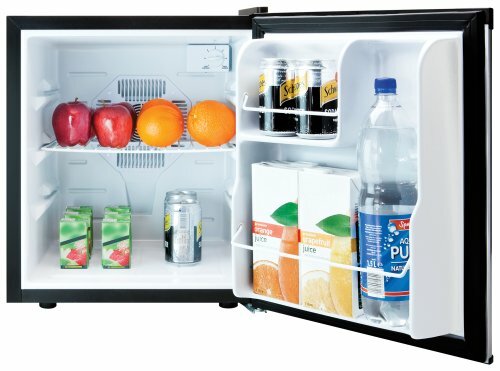 A flush back design with adjustable feet for leveling makes this fridge dynamo easy to set up and use in smaller environments. 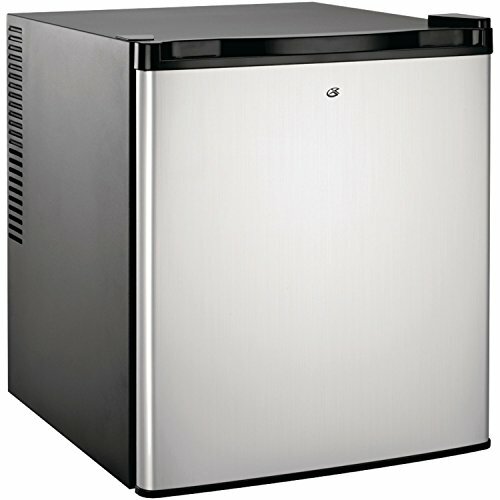 An adjustable thermostat, adjustable shelving, 2 liter door bracket, interior light, and a reversible door round out this 1.7-cubic foot capacity refrigerator. Our family of kitchen appliances has been designed with your family in mind. Simple to operate and gracefully stylish, each Culinair product is made to complement any home for all your kitchen needs. 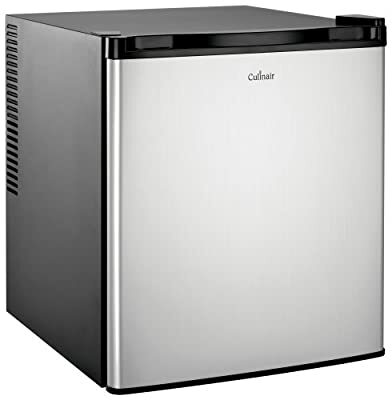 To assure your refrigerated cooler works at the maximum efficiency it was designed for, you should install it in a location where there is proper air circulation and electrical connections. The refrigerator should be located in the coolest area of the room, away from heat producing appliances, and out of the direct sunlight. One characteristic of thermoelectric units is the length of time it requires to recover from having the door opened and shut frequently. It may be necessary to wait longer for the temperature to return to its former level once the door has been opened for too long. This is normal for the type of unit. Your Refrigerated Cooler will automatically maintain the temperature level you select. The thermostat is divided into 7 levels with a temperature setting in between each one. At first, set the dial to HIGH(Coldest) for 3 hours before adjusting the temperature to your needs. Food temperature appears too warm.